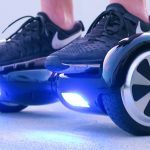 Among all the transportation options hoverboards are the best and helps to commute from one place to another very easily. The Hoverboards are sturdy scooters which are very stylish and trendy. It is perfect for all age group. The hoverboard applications are the best way to control the scooter at an ease. In addition to it, it provides several excellent features which makes the entire experience super fun. Hoverboards are self-balancing scooter which can be used as a personal transporter. A robust Bluetooth application helps to control all the activities with the help of your smartphone. The Hoverboards Bluetooth application allows you to travel forward, backward with the help of twisting the pads. 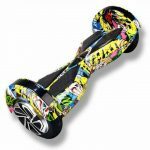 Hoverboards along with excellent Bluetooth application are the best option to roam around with ease and makes the experience super fun. It makes flexible option for everyone. Pair the Hoverboards together with a nice Bluetooth application and explore your speed and check the roaming level too. Here is the list of 8 best hoverboard Bluetooth application which can be downloaded on your smartphone for an amazing experience. The Hoverboard I application is designed especially for the Hoverboard I scooter. With the help of Bluetooth connect Hoverboard I, scooter displays the overall vehicle’s temperature, power, speed. You can also get to know about the current, TIP, ODO all with the help of Hoverboard I powerful application. The application can control the vehicle’s power, sensitivity, steering power, speed, switch machine etc. Once you connect to the Hoverboard I application you can record the vehicle’s driving trajectory instantly. The overall size of the app is just 6.4 M and the latest version needs Android 4.3 and higher version. The user interface of the application is too tricky and it can take forever to scan the Hoverboard. This application is compatible with all the devices. If you have a self-balancing scooter or Hoverboard, this powerful app can monitor, configure, record and track it. The monitoring features instantly diagonalizes the Hoverboard and you can get all the details about the scooter like speed, battery, distance, driving force, a sensitivity of steering etc. It allows you to configure the Hoverboard Bluetooth name and password. It has another brilliant feature to record tracking while riding. The application allows you to search new friends via their name and email ID. You can take different challenges like 30 seconds challenge, Weekly total distance challenge, 100 meters challenge etc. The app occupies 40 M and needs 4.0.3 or higher version of Android. The Hover -1 application is designed especially for the Hover 1 scooters. When you connect the hoverboard with the help of Bluetooth. 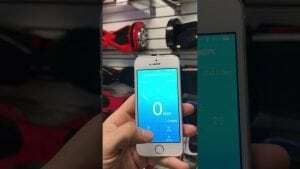 The application will display the speed of the scooter, battery life, and LED lights. You also have an option to change the skill level, tripometer, GPS location, route recording etc. The demerit of Hover -1 application is, the GPS location feature can drastically reduce the overall battery life of the phone. The best part is, it allows changing the colour of light. JC hoverboard application works seamlessly on both androids as well as iOS. The application has robust features which allow the user to monitor real-time view, mileage, electricity, speed. You can tweak in the parameter setting, mode switching, automatic calibration, setting the speed limit and other function etc. Tilboard app goes well with both I OS as well as android application. It is specially designed for the Tiltboard scooter but works very well for Hoverboard too. The Bluetooth connects denotes the vehicle’s temperature, the overall power, the speed of travel, current information, TRIP, ODO. With the help of Tilboard app, you can keep a check on the vehicle’s power, speed, steering sensitivity and also control the switching machine. The application keeps on updating and it has fixed most of the random bugs. The Tilboard app has the size of 10 M and needs android with 4.3 and higher version. More than 10000+ people have downloaded it. Mozzie app is designed and launched by Cutting Edge Products, LLC. The application has an excellent user interface and has several cool features. 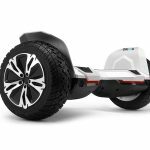 The application is specially designed to enhance the overall experience with the Mozzie Hoverboard riding. The application allows you to track as well as customize each and every ride which you take. They have had several new features like monitoring speed, the distance calculating, checking battery level, motor temperature, keeping a check on battery etc. The feature of balance slider allows you to control the board sensitivity. You can easily change direction and lean forward or backward as per your choice. The Swagtron App is specifically designed for the latest version of SWAGTRON® T3/T6/T580. The Bluetooth connection provides the perfect information about the broad’s current temperature, the status of the battery, speed, steering etc. With the help of your smartphone, you can easily select the different riding mode based on the overall experience level. The Swagtron App allows you to get the benefit of cool features like remote start, steering sensitivity, high speed, acceleration etc. The Swagtron App needs very low space of 24 M and has the current version of 3.2.1. The application is very popular and has got more than 10,000 installations since its launch. The Swagtron App gets updated very frequently to eliminate chances of bugs. Top Wheel application is the product of Imoogoo Inc. This application is specifically designed for all the self-balancing scooter. You can easily connect the hoverboard with the smartphone Bluetooth. While you are driving you can easily choose the control options with the help of remote control or the smartphone. You can also get the status of Self Balancing Scooter anytime with the help of the application. The application easily records the active tracks, it also resends the entire action of the entire year. This Self Balancing Scooter application needs very less space on phone, it has the total weight of 4.9 M. The current version is of 1.7 and needs 4.3 and above android version to get started. The application takes too much time to connect with the device. The application is rated as 3+ by all the user. The last update has happened on 5th November 2015. The application allows the user to share location and you can mail them with their query anytime.